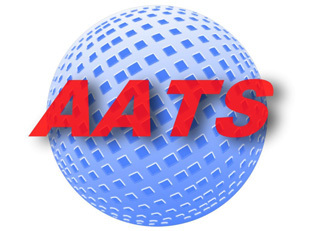 AATS focuses on providing services to small and medium sized companies that do not have enough Information Technology work to keep an employee or employees on staff full time to manage their computers and computer network. This combined with the lack of personal time and the lack of knowleadge of Information Technology is who we cater to. We are your one stop shop for technology support. Whether you are implementing a new computer network, evaluating your current I.T. systems, considering expansion, or happily growing so fast to that you require support AATS will provide your business with the necessary technical support. Please, No Geek Speak!!! You deserve to get answers to your questions in plain English. Our technicians are trained to be professional and explain things in layman terms without any of the “Geek Speak”. No unpleasant or unexpected surprises, we will evaluate your environment and alert you to any potential risks in fulling your job request(s). If there happens to be any additional work related obstacles we will identify them and explain in detail our findings. Your authorization will always be obtained before we commence on any project. 100% unconditional satisfaction guarantee. All work will be installed according to specifications, and or, your agreement. You deserve complete satisfaction with our services. No hassles, no problems!